Even before the formation of the first urban societies cattle-feeding was an environmentally favorable practice. It supplied high quality protein and valuable by-products by utilizing surplus commodities or commodities that humans are unable to consume. Since prehistoric times cattle feeding has been an integral part of agriculture for precisely these reasons—it helps to make agriculture more viable and productive. The same holds true today as Foster Feed Yard use hays, surplus crops and by products such as bakery meal, rice bran, almond hulls, beet pulp and more to formulate balanced and healthy diets for feeding cattle. Many of these products would probably end in land-fills were it not for the fed-cattle industry, instead they are transformed into high-quality beef and beef-by products. Practically no part of a animal goes to waste. 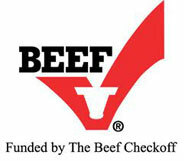 They yield not only beef and leather, but many—or even most—items we employ on a daily basis contain beef byproducts. The list of things is nearly endless, but here are a few: ceramics, antifreeze, cosmetics, linoleum, asphalt, paper, soap, insulation, brake fluid, rubber and plastic. Another interesting fact is that many modern pharmaceuticals also utilize beef-by products, among these are: insulin, cortisol, glucagon, thrombin and vitamin B-12. It is also worth noting that items made from leather are, in point of fact, more environmentally favorable (hence more sustainable) than their synthetic counterparts. The manufacture of synthetic footwear, for example, produces chemical compounds that are environmentally hazardous, and the product itself often lacks the durability of the same item manufactured from leather. At Foster Feed Yard even many of our horses are “recycled!” When we find horses that are perfectly sound but whose owners—for whatever reasons—are being forced to have them put down, if we can accommodate them here, we do. And we believe that judicious work ennobles horses, just as it does men, and that we and they are better because of it. The manure produced by fed cattle is transformed into nitrogen-rich fertilizers, that revitalize our crop-lands and diminish our dependency on chemical fertilizers, and it enables us to produce more truly organic crops for human consumption. Foster Feed Yard is proud to participate in such recycling and has done so for many years. 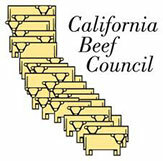 Thus our fed-cattle industry helps underpin the foundations of our urban society by recycling many by-products that might otherwise go to waste, while at the same time producing high quality byproducts essential for modern society; and by producing practically no by-products that are not utilized to society’s benefit, or that end up in landfills. There are few industries that can claim to be more environmentally beneficial and sustainable than the fed-cattle industry.